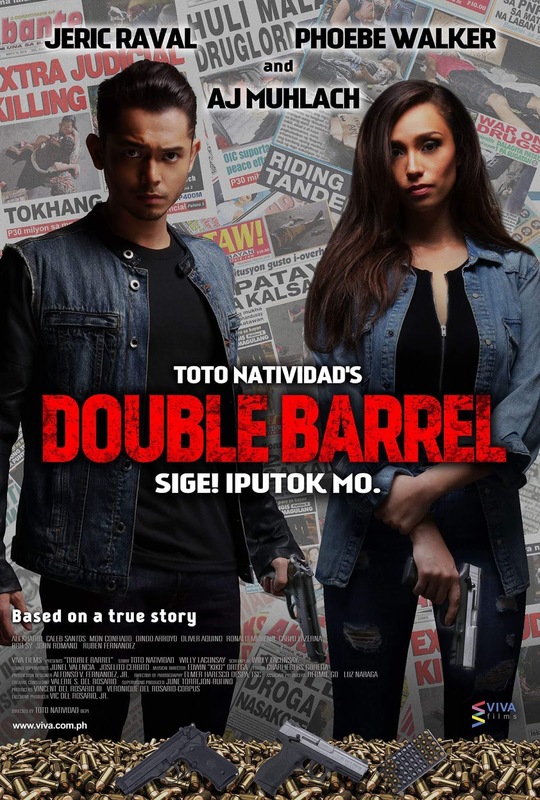 AJ Muhlach sheds his boy-next-door persona as VIVA Films launches him as the newest action star in the very timely film "double Barrel", by master director Toto Natividad. He is paired with Phoebe Walker who won Best Supporting Actress at the 2016 Metro Manila Film Festival for her performance in the horror film "Seklusyon". Muhlach plays the role of Jeff, a drug pusher who gets caught during an extensive police operation at a slum area. After begging for his life, Jeff is spared from being killed on the condition that he will become an asset to the police. He must divulge all the names of the drug lords he knows and join the authorities in extrajudicial killings (EJK). Walker plays Martha, Jeff's wife whose love for him leaves her with no choice but to take part in the never-ending violence. Armed with a gun and shooting down drug personalities, she and her husband are tagged as "mag asawang birador". High-speed vehicular chases, hand to hand combat, not to mention gun fights and explosions, are employed in this engrossing action movie that is based on a true story. Aside from the Erik Matti film, "Seklusyon", Walker's other movies are "Unconventional" and "Gayuma". This half-Filipino, Half-British talented Viva artist was part of the girl group Eurasia. Jeric Raval, one of the biggest action stars in the 90's joins the cast. He plays Inspector Bagani, a headstrong police officer who insists on eradicating drug users and pushers despite orders from his superiors to stop EJK. He is assited by his loyal subordinate, SP04 Lagman, played by mixedmartial arts expert and model Ali Khatibi.